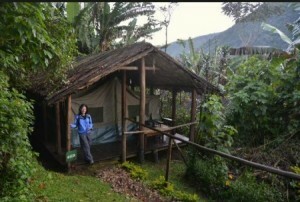 Lake Kitandara Tented Camp is a mid-range camp found in the middle of Bwindi Impenetrable Forest. 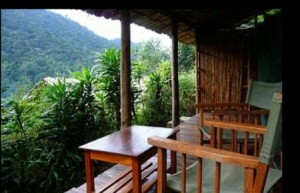 it is the ideal place to base for your gorilla tracking adventure. It was built in 1994 and has hosted several guests since its opening. 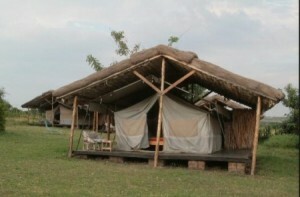 Accommodation comprises of twenty furnished tents having twin plus double beds. 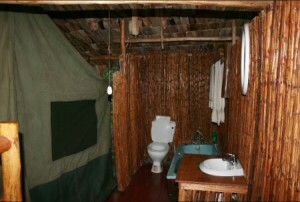 Every tent features a bathroom having hot plus cold water. There are solar powered lights in every tent. 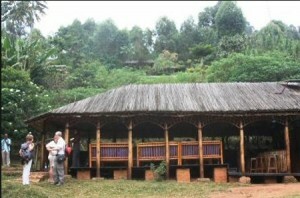 A nicely designed verandah looking over the Impenetrable forest, offers you an opportunity to various wildlife and if lucky even Mountain gorillas moving about the camp. There are also provisions for charging batteries and other electrical gadgets. 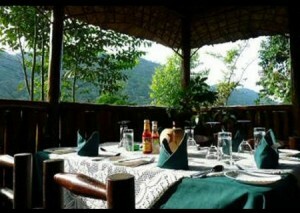 Meals are tasty and properly prepared with international and local dishes prepared. The staff is warm and friendly and at all times ready to serve you in accordance with your preference. They offer packed lunch for those going gorilla tracking. There are as well Camping facilities available and best of all is that it is only a 5 minute walk from this camp up to the park Headquarters found in Buhoma. 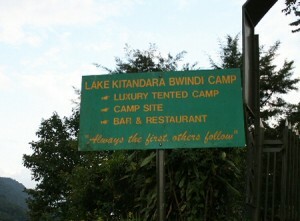 Don’t miss out the great lasting memorable experience at the beautiful Lake Kitandara.